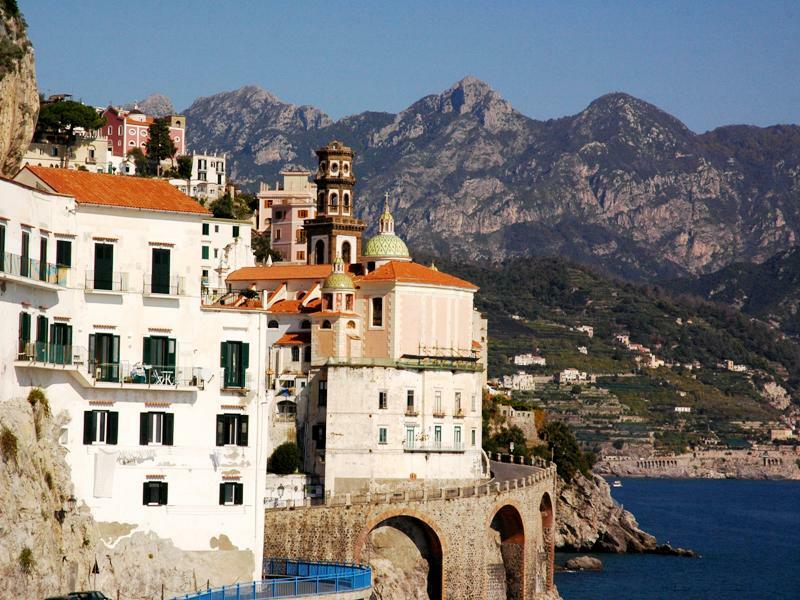 Enjoy charming 3 star lodging while discovering the lovely Amalfi Coast. 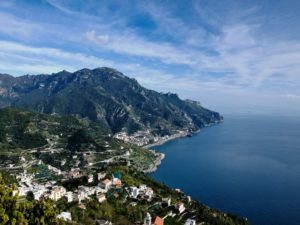 The Amalfi Coast has been chosen by National Geographic as “One of the fifty places you should visit in your lifetime” and they go on to describe it as “ Italy’s most scenic stretch of coastline”. Its picturesque network of pathways, once lifeline between terraced land and rural villages, offers the opportunity to enjoy magnificent views above lemon gardens and vineyards set amidst terraced cliffs over the crystal blue sea. Immerse in a bright landscape and a fascinating heritage you walk around Amalfi and its neighbors: Atrani, Ravello and Positano: a mixture of memorable sights and unique environments. 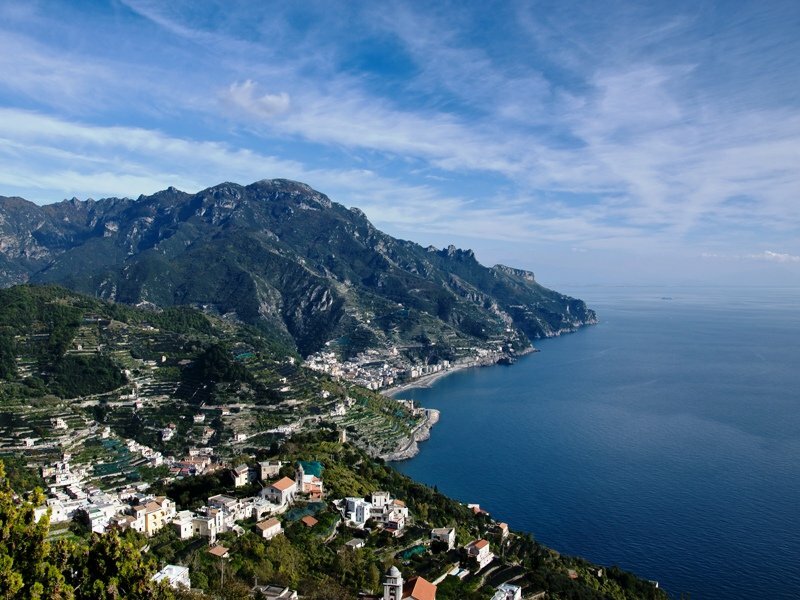 The journey starts in Cava de’ Tirreni, a town known as the “Green gate of the Amalfi Coast”. Walking along the attractive boulevard along the ancient porticos you will be suddenly absorbed by the Italian lifestyle. 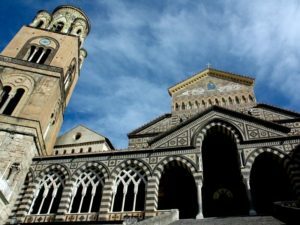 The location of this town, with its one thousand years old Benedictine Monastery, is the perfect starting point for your journey and an ideal way in to the coastal walks towards the marine villages of Vietri sul Mare and Cetara. Arrival in Naples on your own. You can reach Salerno or Cava de’ Tirreni by local train. 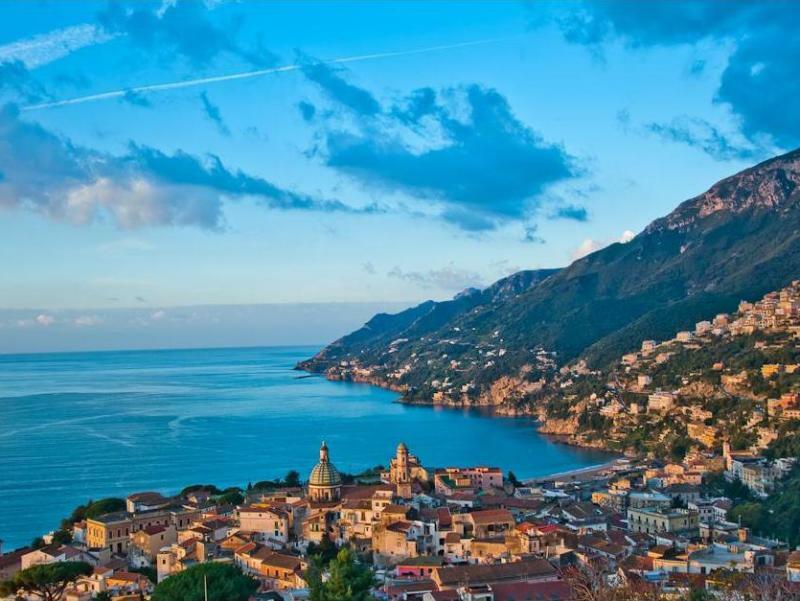 Arrived in Salerno or Cava de’ Tirreni a private taxi brings you to the Hotel located in a green and peaceful valley. Cava de’ Tirreni is a delightful little town rich in history and less touristic than other places on the Amalfi Coast with its narrow streets and alleys, nestled in a landscaped valley called the green gate of the Amalfi Coast. 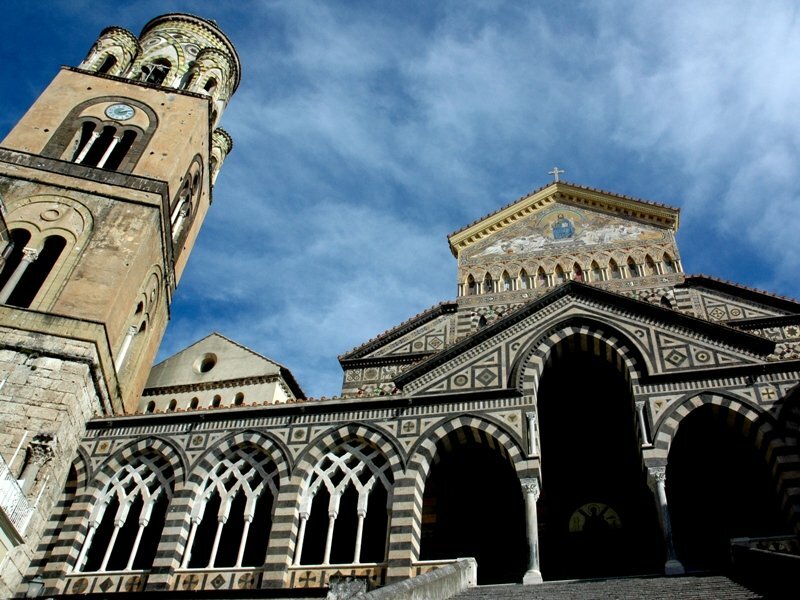 In past centuries it was an important market centre and well known for the Abbey of the Holy Trinity which spread its temporal and spiritual influence over Southern Italy. 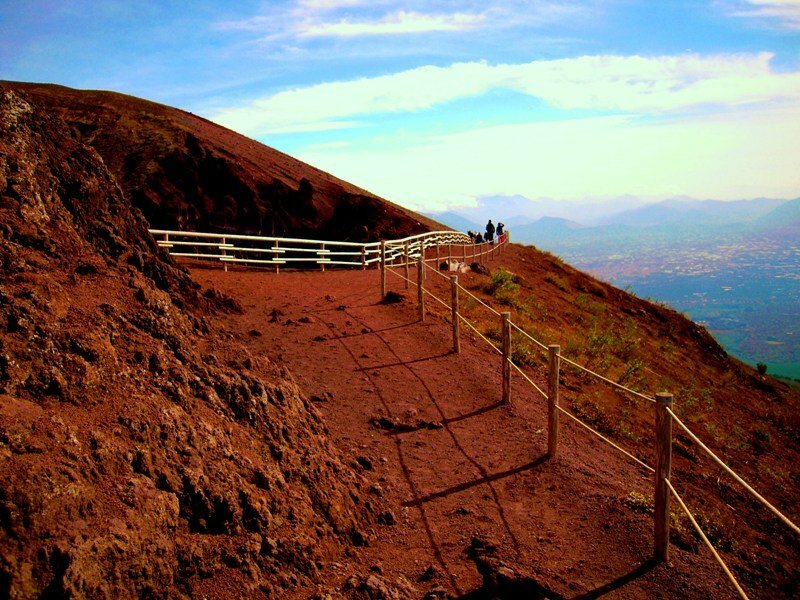 Today you experience a visit to Mount Vesuvius before exploring the Pompeii ruins. 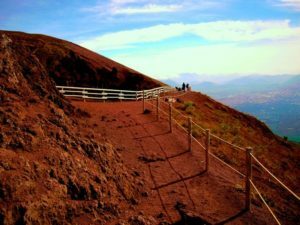 A private transfer brings you on the summit of Mount Vesuvius; here you can visit the big crater and enjoy panoramic views over the Bay of Naples. Then you reach by private transfer the world’s most captivating Roman excavation and experience a real intact image of this ancient world. The devastating eruption of Mt. Vesuvius in AD 79 trapped 25000 inhabitants of Pompeii, many of whom left impressive examples of everyday life in 1st Century. 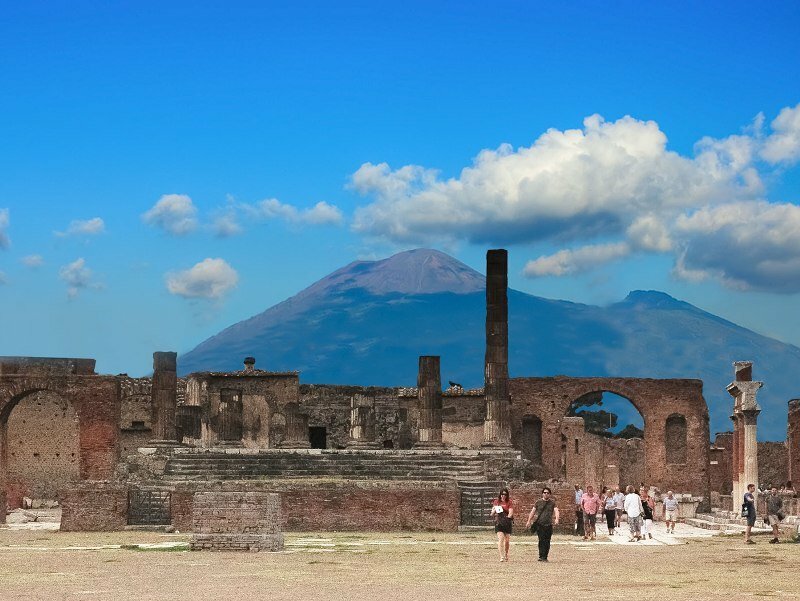 From Pompeii you come back to your charming hotel in Cava de’ Tirreni by train + local bus. You start the day visiting the attractive Benedictine Abbey of the Holy Trinity. You experience the intangible atmosphere of a glorious past, visiting the true symbol of the religious and cultural prestige of Cava de’ Tirreni. After a pleasant and peaceful visit of the Abbey’s treasures, directly from the church square, you start a lovely walk along chestnut woods. Strolling along the pathways you experience the first astonishment of the Amalfi Coast, with its tiny villages located on the hillsides and stunning coastline views of the Bay of Salerno. Descending stairs lined with sheer stone walls and pastel homes, you pass villages of the Divine Coast before arriving at the decorated village of Vietri sul Mare: the home of the hand painted ceramic art. There is time to explore at leisure this colourful town, with the option to visit local workshops where you can see the hands of a craftsman create exclusive works of art. From here you continue by local bus to Amalfi. 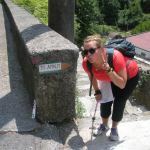 Walking – easy 4.5 hours. 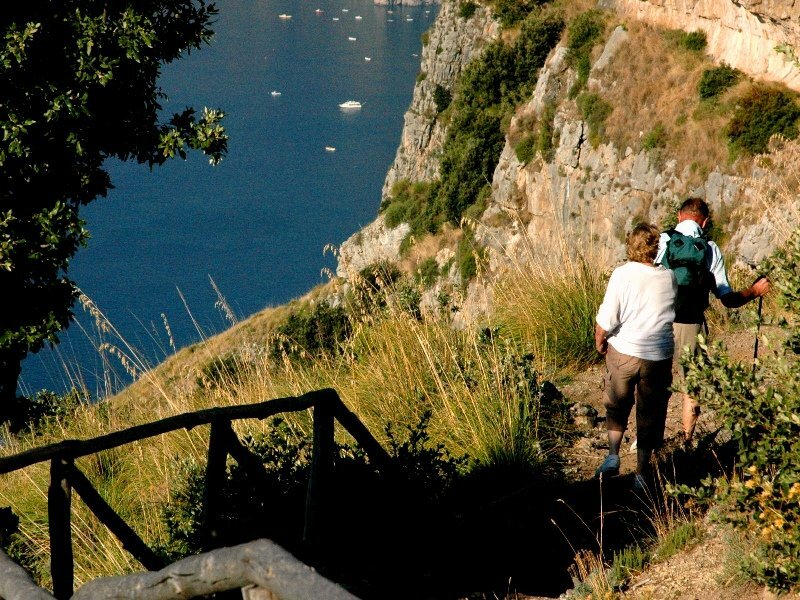 Today you can choose between two great options: to discover the Ferriere valley or to visit the Island of Capri (if you have not chosen our 3 days Capri walking tour) If you opt for the Ferriere valley, taking a local bus you reach the starting point of your next walking experience. Ferriere valley is an interesting nature reserve into the rugged landscape of the Lattari Mountains. You pass through striking vertical cliffs, little waterfalls and natural springs immersed in an unchanged microclimate which allows for the preservation of the Woodwardia radicans, a rare type of longleafed fern from the pre-glacial age. Continuing in the valley through the chestnut trees you reach the hamlet of Pogerola and then, down along ancient flight of steps, the village of Amalfi. A visit to the world known island of Capri is proposed as alternative. The ferry leaves Amalfi in the morning. Arrived to the island, after passing the famous “Piazzetta”, you walk towards the Arco Naturale and following a coastal path you reach the spectacular Faraglioni, the peculiar rocks jutting out of the sea. During the afternoon you have several options for exploring Capri at your own pace. 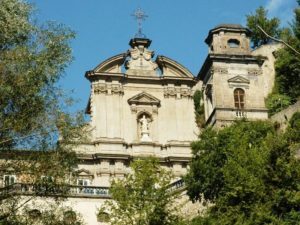 You may choose to relax in the island’s chic shops or take a walk to visit the Convent of San Giacomo, dated back to the 14th century, and the Gardens of August. Return to Amalfi by boat. You start the walk from your hotel strolling along an old paved mule track dating back to the 9th century, you pass some little hamlets and delightful little chapels before arriving at the Santa Rosa Monastery. Here you reach the church of San Pancrazio in the tiny village of Conca dei Marini, then walk and descend to the fjord of Furore, with its typical rock-face houses. 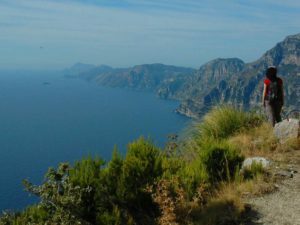 From the fjord you can take the local bus or continue, before along an hard section and then along a great path, to the small fishing village of Praiano, where you indulge yourself in a relaxing atmosphere on the panoramic terrace overlooking the Amalfi Coast. 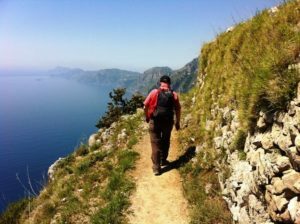 Today’s journey is along one of the most spectacular trails overlooking the Amalfi Coast, as well as one of the main highlights of your adventure. From Praiano you reach the convent of San Domenico, a stunning view point leading towards the most picturesque part of the world famous “Sentiero degli Dei” (Path of the Gods). Along the pathway you can admire the full splendour of the Divine Coast. 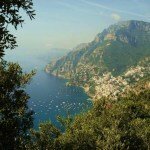 Arrived at Nocelle, a tiny mountain village, you descend through lush terraces and olive groves to the vertical charming resort of Positano and explore the labyrinth of alleyways surrounded by scarlet bougainvillea and elegant boutiques. Return to Praiano by public bus. Your trip ends after breakfast. You can reach your next destination by public transportation or by private transfer on request according to your final travel plan.